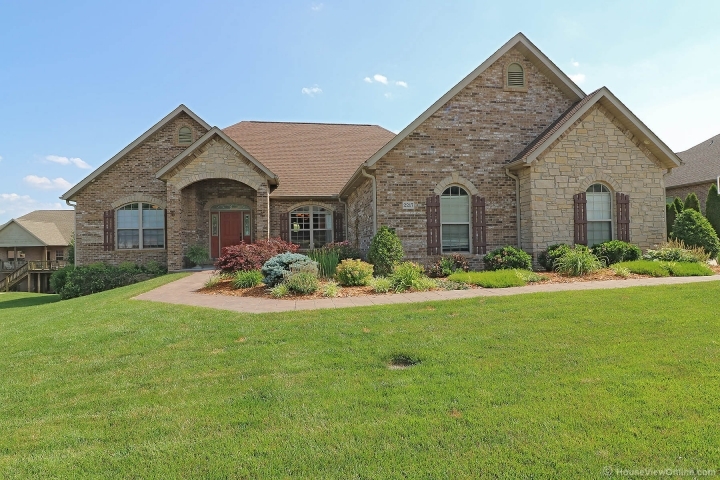 This brick and stone ranch with unparalleled class and style is truly a GEM! You will fall in love with the accommodating, split-bedroom floor plan where everything just makes sense! The large living area, boasting cathedral ceilings and fireplace, opens to a 'Chef's delight' kitchen with a functional center island, striking granite countertops, & high-end appliances. Huge master bedroom and bath complete with double vanities, jetted tub, & walk-in shower. Off of the eat-in kitchen, step out to an outdoor oasis- the partially covered porch with attached pergola walks down to the stamped concrete patio. Admire the beautiful landscaping & rest well knowing there is an in-ground irrigation system. Extra living space galore in the basement- family room with fireplace, two extra bedrooms/ bath, awesome wet bar, hobby room. 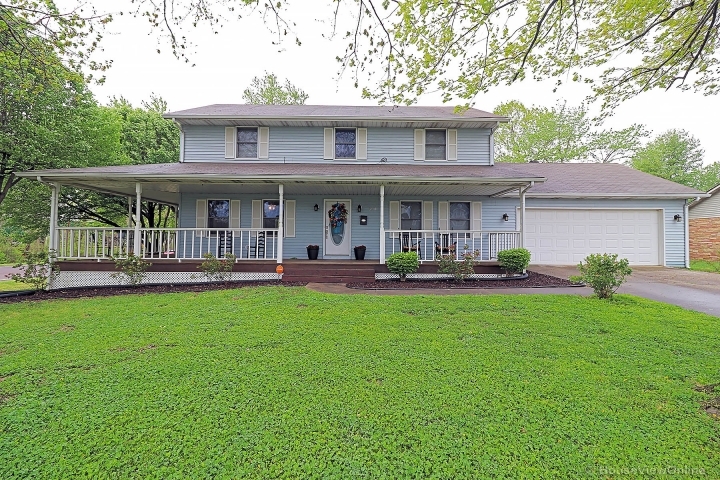 Three-car garage, curb appeal, exceptional location & neighborhood. After you see for yourself, you will want to call this "Home"!